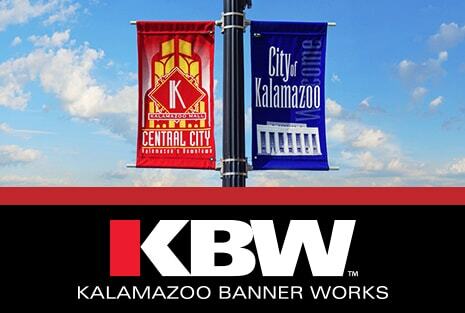 Thank you for your interest in Kalamazoo Banner Works and BannerFlex hardware. Use code “NLC10” for 10% off your next hardware or banner order! 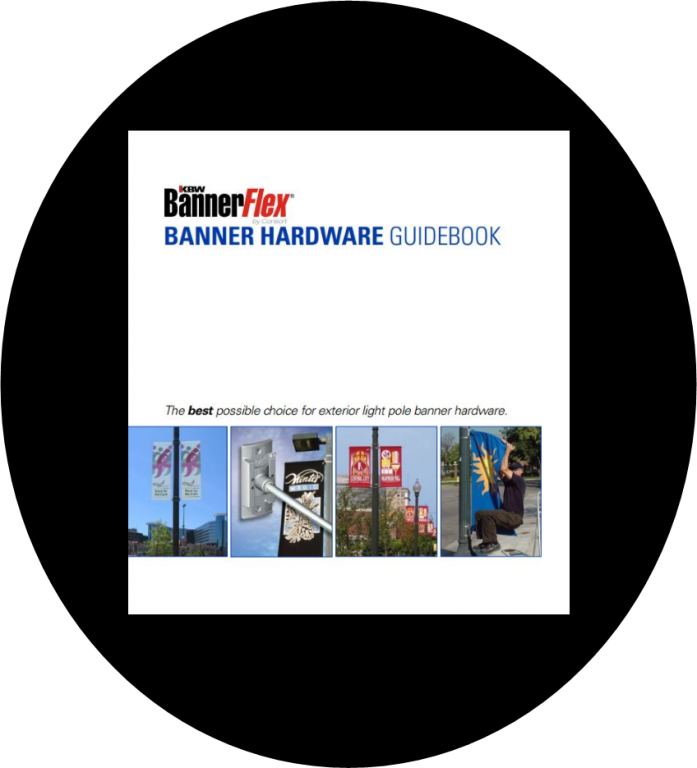 Banners are not available for sale in our online store but please contact our friendly sales team for a quote today! Consort Display Group is a global, design oriented, manufacturer. Founded in 1983 by our President, architect Roger Lepley, AIA, Consort started as Kalamazoo Banner Works (KBW). 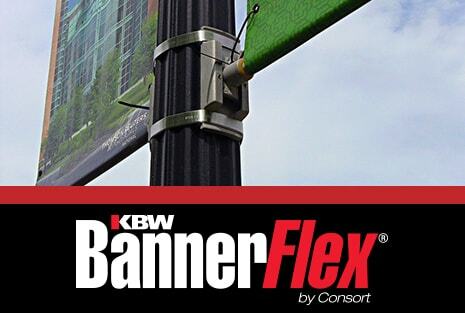 At the time, we were designing and printing light pole banners and manufacturing banner brackets and mounting hardware for companies and local communities to help them attract attention and enhance their downtown’s and shopping districts. As demand grew, so did our product lines. In all that we do, we use advancements in technology to continue to improve our products, resulting in the most tested, reliable displays on the market. Because of our ongoing performance testing, we offer the strongest warranties in the industry. Consort Display Group is nationally recognized for our high quality products and excellent customer service. You can trust the experts, the originators and innovators at Consort Display Group. Consort Display Group is a veteran-owned, family-owned business with a strong commitment to integrity and doing the right thing for our customers, employees, business partners and the community. We strive for excellence in all we do and pride ourselves on creating and providing innovative, durable products that exceed the expectations of our customers. ***Discount is not valid with any other promotion. Coupon code applies to end users only, and is not valid for resellers.